The Short Hair Bride's Guide To Nailing Her Wedding Look Without Hair Extensions! Why should brides with long hair have all the fun? Calling all brides-to-be with short hair. How you all wish you had those long tresses to flaunt on your big day, right? First thing first, all you need to do is stop fretting and instead, think about how much easier it is to manage short hair. And trust us, the right kind of styling and hair ideas might actually make you drop the idea of hair extensions! Here are six hair tips for your wedding day that won't make you miss the long locks. If you can braid it, nothing like it. Guess what? You don't really need long hair to braid your hair. You can come up with so many exciting braid styles like a side braid or a tiny french braid twisted into a bun. Or you can opt for centre parting braids and leave your hair open. That makes for a very smart and chic look for your reception or cocktail party. We are sure you will make heads turn. You have enough hair on your crown to make a pouf. Backcomb and pin your hair to create a pouf that gives the illusion of a traditional wedding hair bun. Opt for a less transparent dupatta on your head or you could even accentuate your bun with some flowers to match your outfit. The flowers will even add more volume to your hair. Oh! And don't forget that maang tikka which will further enhance your look. If you want a neat look and don't want to overdo it, just go with a simple low bridal bun. 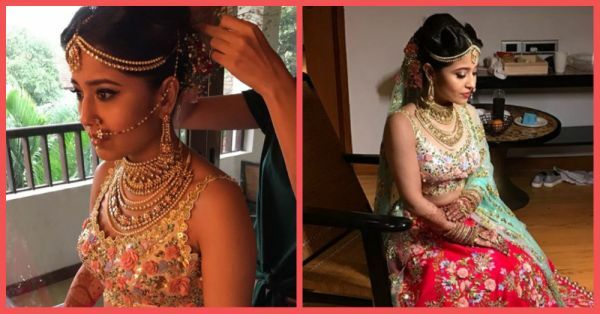 Low bridal buns are a thing now, all thanks to real and reel Bollywood brides! Do away with hair jewellery and add some baby's-breath for that dreamy, delicate look. You can add a few curly ringlets to frame your face and look exactly like Kareena on her wedding day in Veere Di Wedding. Do you have shoulder length hair? In that case, the half up, half down do is perfect for you. Make sure you pin it up neatly and that the bobby pins are not visible. Backcomb the crown area for a bit of volume. And then, just pin some pretty flowers and you have a simple yet stunning mehendi look. A long veil takes away the attention from your hairstyle. 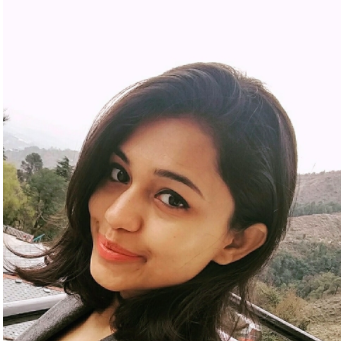 If you've got super short hair and you're worried about how you're going to style it, then just opt for a head dupatta or veil for all your functions. Go for a simple, doable hairstyle and change up the hair parting or add some flicks to make each of your looks look different. If you have it, we say flaunt it! Side parted curls are perfect for those struggling with frizzy hair. This look goes best with gowns. If you are wearing a gown on your reception or cocktail, we suggest you go for side-parted curls. If you wish to add more fun to it, go all retro with loop curls. They will add the perfect vintage charm to your look.